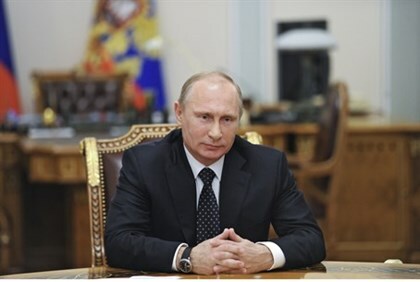 President Vladimir Putin is a tough but very effective leader. He is never afraid to take a stand and fight for the interests of his people. True, his methods can be heavy handed at times—if not downright ruthless. His support for Assad in his civil war against ISIS showed a real skillful understanding of what Jihadist Islam stands for the threat that it poses for the civilized world. In contrast, the United States actually supported ISIS and the Rebel faction, known as the Daoud brigade fighters have evacuated their stronghold in Sarmeen in Idlib to join the Islamic State of Iraq and Syria in Raqa province as ISIS declared an Islamic caliphate, days ago. Putin is much more perceptive than people realize. He understands what ISIS better than our President, who chose to support the Daud brigade fighters and even requested 500 million dollars to support them against Assad. Our President also supported the Muslim Brotherhood and their vision of transforming Egypt into a theocratic Muslim state governed solely by Sharia Law. We also supported Al Qaeda in its war against Mo’amar Kadafi of Libya. A word to the wise: The United State should not be supporting theocratic Jihadist states that are associated with Al Qaeda and ISIS. Why? Because we should never forget what these Jihadist Muslims did on September 11, 2001. ISIS’s rapid takeover of Iraq and Syria demonstrated the short-sightedness of this dubious proposition. I support the struggle of Israel as it attempts to protect its citizens. I also heard about the shocking murder of the three youths. It is an act that cannot be allowed, and I ask you to transmit my condolences to the families,” added the Russian president, in referring to the abduction and murder of three teens in June by Hamas terrorists. Putin asked Rabbi Yosef to send his regards to Prime Minister Binyamin Netanyahu and say that he is a true friend of Israel and of Netanyahu. Netanyahu called Putin on Thursday, and in their conversation, Putin called for an end to the conflict in Gaza. Symbolic gestures are very important in such dangerous times. The warm meeting between the rabbis and the Russian president comes at a time when Israel is strengthening its relations with several major countries. Would it be asking too much for President Obama to personally express the same kind of words to Israel for the world to hear? Israel is the United States’ only democratic ally in the Middle East. Shouldn’t offering support for Israel at this time be something that he should personally do and not delegate this matter to a lowly White House official? Russia experienced Islamic extremism in Beslan, Southern Russia, when jihadis attacked a school. That said, Putin’s land grab in Crimea was wrong, as was his muzzling of the opposition back home. And if the Sunni Jihadis hate Assad, the Iranian Shiite Jihadis love him. There are no good guys anymore.